The general statement that fashion is cyclical has been proven time and time again as hairstyles from the past have made their way back into the mainstream. At the same time, just a few years ago many fashion industry experts said that the 80s were possibly the worst time for fashion. 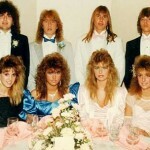 But the decade of excess has resurfaced and can be seen in everything from movies to fashion to hair. 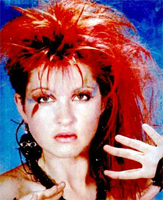 Most notably, the hair styles of the 80s are starting to appear more often on the heads of celebrities. While the sky high bangs of this decade have yet to return to being in vogue, other hair styles of the time are becoming more popular than ever. 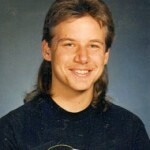 Among the 80s hair styles making a comeback, the most popular is clearly the branch of new wave styles that emerged in the early 80s from the music genre of the same name, popularized by bands such as Soft Cell, The Cure, The Smiths, New Order, and, of course, A Flock of Seagulls. The basic principle of this new wave haircut involves asymmetry—specifically having hair on one side noticeably longer than the other side. Big names, such as Rihanna, and Evan Rachel Wood have brought the style back to popular culture, emphasizing the flat and pressed sides as well as sharp lines that bring more attention to the contours of the face. 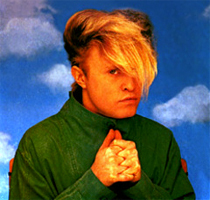 Another new wave hair style that has enjoyed new acceptance is the aptly titled Flock of Seagulls haircut. Named after the band, the style features short sides and back with a flowing top that comes down over the front of the face. 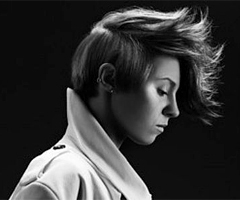 The most popular celebrity to sport this look today is the singer La Roux, on whom the haircut matches the androgynous style of the performer. 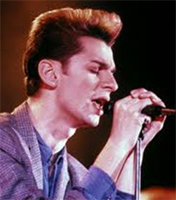 If you were a fan of David Gahan, or his band Depeche Mode in the eighties than you are sure to recognize one of his trademark eighties styles coming back. 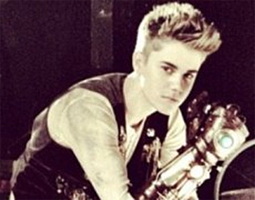 Justin Bieber can be found rocking this up and lightly spiked look. This new wave look can be achieved with short sides and the top brushed straight up and then back, with the modern version very light spike twists can be found making an appearance in the style. 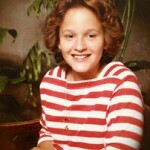 One of the best things about 80s hair styles coming back into fashion is the wealth of reference pictures that are available for women to bring to the hairdresser. In addition, many of the haircuts rely on simple techniques to create the desired effect and even moderately competent hairdressers can achieve a good look with effort. To get the best possible 80s haircut, it is a good idea for a woman to bring several pictures to the salon and be as clear as possible in describing the desired hair style. If the theory of cyclical hair styles holds true, then time is running out and a woman should enjoy the 80s one last time before the haircuts go out of style for another 30 years. 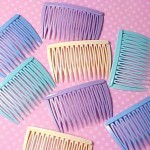 Written with HairstylesDesign.com, which is a community dedicated to the beauty of hair styles. Heavens Don’t forget the Princess of Wales!